Last Sunday Me and Gracie headed to The Festive Gift Fair at the NEC Birmingham for a well deserved special girly day. She is the perfect age this year to really enjoy the magic of Christmas so I was so excited to take her. She insisted on wearing her Princess Anna dress for the special day. We got the train over to Birmingham and as we arrived at around 11am we missed the queues to get in. 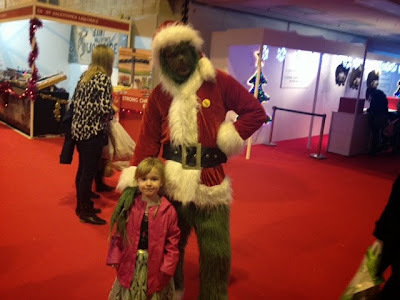 The first thing we saw when we arrived was The Grinch! This is Gracie's favourite Christmas film and one of her favourite bedtime stories so I persuaded her to have a photo with him. First of all, we had a good walk around all the stalls looking at all the festive items. 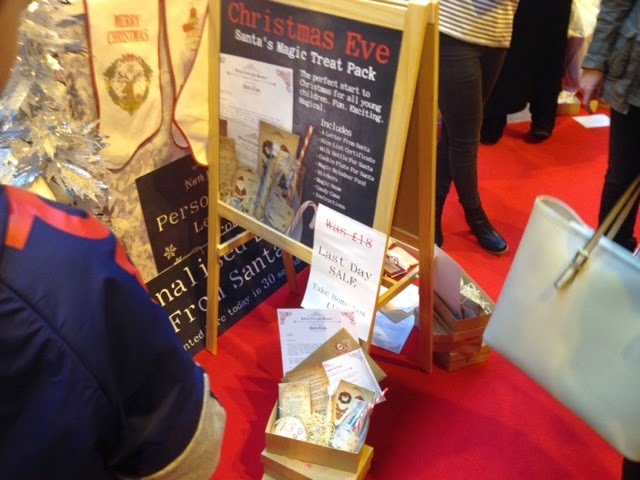 From ready made Christmas Eve hampers to exquisite looking hand carved chocolate models there were lots of exciting things to look at. Of course some stalls were heaving with customers and others were very niche and were slightly less busy. I did find that it was very cramped again like last year. With Gracie bursting into tears two or three times with being cramped and pushed around by rude shoppers! Some people are definitely not very festive. I'd love to see them move the fair into a bigger hall next year! 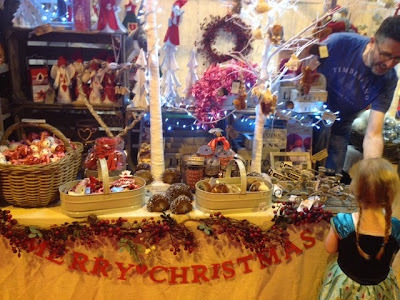 There were all sorts of great stalls selling lovely Christmas items. Gracie treated herself to a little bell decoration from the 'insert name' stall (pictured below) the people there were really friendly and happily served Gracie herself bagging up her sleigh bell. Just like the one Santa gives the boy in The Polar Express, she informed me. We also bought some lovely glittered letters for the wall in the girls bedroom, a Santa sack for Elsie and some flavoured fudge for me and Daddy. Gracie loved the fake snow scattered underneath the Christmassy trees around the hall. She spent a long time playing with lots of other children throwing snow around and making snow angels. It was lovely to watch. You can see just how excited she was in the picture below! She loved that she had snow in her hair for the rest of the day. (I didn't love it so much when trying to wash it out though!). Now what happened next was pretty amazing. We had finished shopping and wanted to get home to see Daddy, Zach and Elsie. As we were leaving and walking past the Comic Con hall we saw all sorts of awesome costumes on the attendees (I must go myself one day!). As I was popping Gracie's coat on we were approached by a lovely lady dressed as Anna from Frozen. Of course Gracie was amazed. She took the time to talk to Gracie told her she was the best Anna she had ever seen and offered to have a picture taken with her. Gracie was so happy and said thanks and bye etc. Then Kristoff joined her! 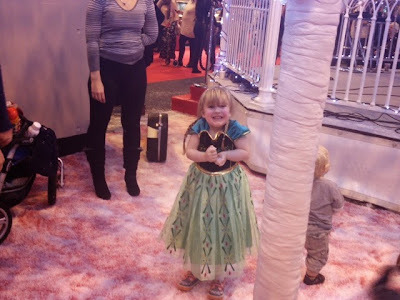 So she was stood having a chat with Anna and Kristoff about the 'ice' in her hair having the time of her life. Then we got on the shuttle bus outside and Gracie turned to me and said 'That was the best day ever Mummy, I love doing things with you'. She is an amazing little girl and I do love being part of these magical moments with her! I am quite amazed that she wasnt terrified by the grinch! 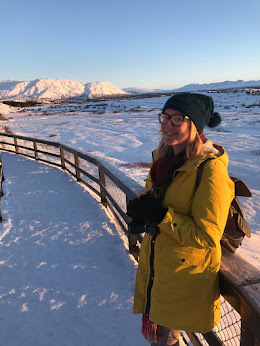 Love that massive smile on her face with all that fake snow. It sounds like a magical day out! Aw that's so sweet, what a lovely thing to say to you. Sounds like they definitely need a bigger venue though. It looks as though you had a great time! It's a shame some of the other customers were rude but the picture of her in the fake snow is just priceless. Getting to meet Anna must've been fantastic for her! Days out like this are very special, aren't they! 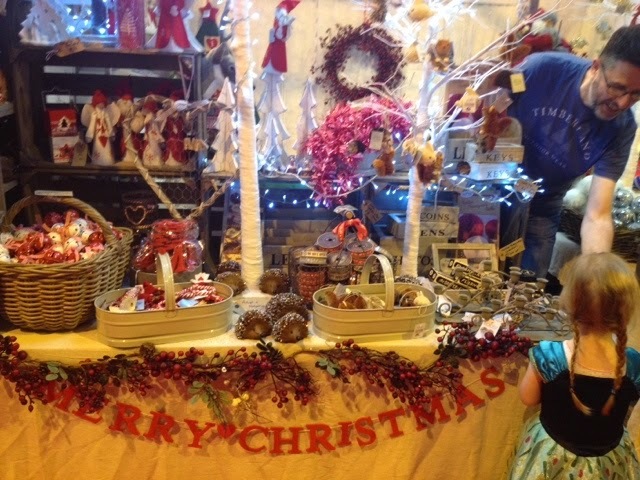 I do love Christmas fairs, with all that fake snow and fab gift ideas. 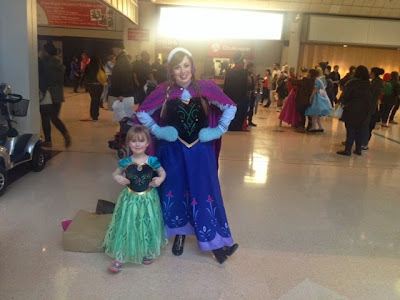 Sounds like a great day out, adore the pic of your daughter and Anna, so cute!